For most CEOs, talent remains at or near the top of their priority list, and yet lack of talent remains a major obstacle in achieving organisational goals. While a lot of effort is spent tackling these challenges, our CRF survey indicated a lack of satisfaction with the outcomes of talent management practices. Where are organisations going wrong? If you missed the webinar on 14 July, you can view it on demand by watching the video below. How does the way organisations manage talent need to adapt to stay relevant in today's - and tomorrow's - business context? Why is satisfaction with the results of talent management so low and what can be done to improve outcomes? How can talent functions make sure what they do is closely aligned with business strategy and needs? To complement the webinar, a selection of thought leadership articles can be found within our webinar library. Let us know your thoughts by contributing to the online social feed using the hashtag #CRFTalent or by posting your comments below. Our webinar series aim to continue the debate generated from our research reports and member meetings, thereby enabling global teams to access high quality content in an online environment built for exchange and discussion. In the style of all CRF events, our webinars are engaging, interactive, content rich and, importantly, to the point, recognising the time constraints everyone operates under. We look forward to your future attendance and contribution to the discussion. For further information on our 2016 webinar programme please contact Viktorija Verdina at viktorija@crforum.co.uk or +44 (0) 20 7470 7283. In Mercer’s recent Global Talent Trends Study, only four percent of HR leaders reported that HR is seen as a strategic partner in their organization. Furthermore, over 80 percent indicated that their talent processes need an overhaul. How did the gulf between what HR intends to be — a strategic partner — and how HR is perceived — an undervalued resource — get so big? There are several talent trends driving the question around HR’s value. The prevailing HR operating model, and how organizations have implemented it, also brings challenges. 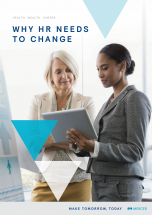 This paper examines these issues and provides Mercer’s view on what HR can do to redefine its value in today’s evolving talent economy. 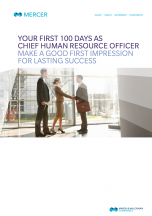 Your first 100 days as the new Chief Human Resource Officer (CHRO) provides a window of opportunity to build a solid foundation for long-term success. It’s a time to gain the confidence of the CEO, the executive team and those in the HR function, and to secure an in-depth understanding of your new environment. This is a unique opportunity…one you will never have the chance to do over. How can you make the most of it? This paper by Mercer looks at the areas you should focus and the aims you should strive to achieve. The 2016 Mercer Global Talent Trends Study examines how the changing landscape impacts today’s workforce, and how organizations are responding. Mercer asked employers and employees what really matters in the workplace, what skills are in demand, and how they are building their capabilities - individually and organizationally – to take on future challenges. Karen is a CRF Associate. 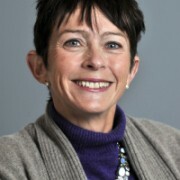 She has worked extensively across all sectors on the issue of organisation effectiveness, particularly developing sustainable strategic capability. She has also published books on the global aspects of effectiveness – ‘Leading International Teams’ & ‘Globalisation: The internal dynamic’. Karen has extensive experience working with high potential leaders globally and in the last nine years has conducted targeted research into the challenges of attracting and retaining the talent needed to lead organisations healthily in times of complexity and ambiguity. Recent clients include Tesco, G4S, UK & UAE Civil Service, AB Foods, a global humanitarian agency, Lloyds, John Lewis, Zentiva and Marketform. Karen is an accredited Power & Systems facilitator and finds this approach to be transformational particularly for leaders in mature organisations, freeing their energy for change and creating healthy and human workplaces. She is an effective keynote speaker as she brings practical depth and breadth to her contributions. As Head of Global Talent Management, Eleanor leads the talent and diversity agenda at Rolls-Royce. 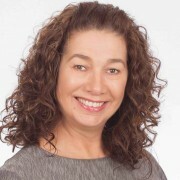 She combines deep understanding and knowledge of engineering organisations with significant talent and organisation effectiveness experience, and has worked with senior leaders to develop capabilities and initiatives critical to the organisation’s talent agenda. While she has a broad HR background, Eleanor’s passion remains in development and in enabling people to realise their potential to strengthen business performance. 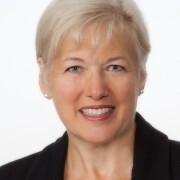 She has attended executive education and development at both Cranfield and Harvard Business Schools and is an active member of the employer-focused Royal Academy of Engineering’s Diversity Leadership Group. Nigel is Group Human Resources Director for TalkTalk, a position he has held since 2010. While in the role, Nigel has led the transformation of TalkTalk’s HR function which includes all aspects of the function such as payroll, systems, operations, recruitment, talent, OD, communications and engagement. Prior to joining TalkTalk, Nigel started his career in HR at Rover Group where he spent the majority of his time at Land Rover. He subsequently held senior HR positions at Nortel Networks, Marconi and the logistics group Wincanton plc. 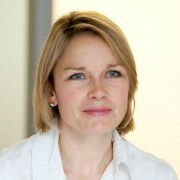 Claire is responsible for Talent & Development for the Downstream business in Shell, an organisation of ~35,000 employees. Her primary focus is on the resourcing of the senior leadership cadre, in addition to responsibility for the broader talent, leadership development and D&I agenda for the business. Prior to her current role Claire has held a variety of HR generalist and consultancy roles within different areas of Shell, including Manufacturing, Retail, Chemicals, Projects & Technology and Upstream. Claire’s first degree was in Industrial Relations and she also has a Masters in Organisation Consulting. 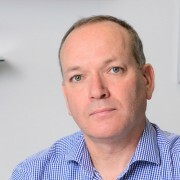 In his role as Director of Learning, Nick has responsibility for building on CRF's unique position as one of the largest business-focused HR networks and 20+ years of practical research to provide unrivalled development for HR teams and senior professionals. 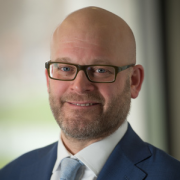 He has extensive experience not only in researching key trends in HR and working with major global businesses, but also has a background in senior HR roles as a partner at Arthur Andersen and Director of Global People Development at Vodafone. 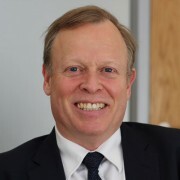 Prior to joining CRF, Nick spent 10 years at Henley Business School where he was a visiting professor and Director of the Centre for HR Excellence.